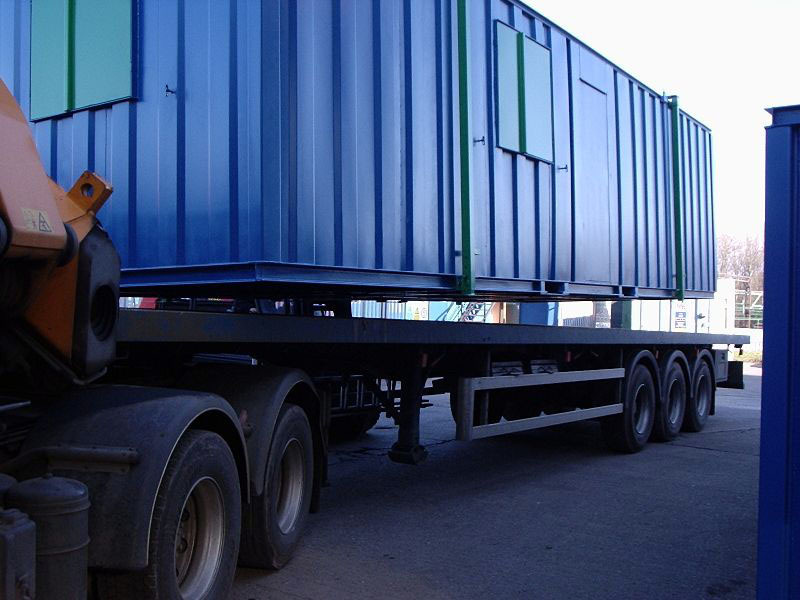 CHS Containers provide delivery across the whole of the UK and will deliver anything from our smaller 10ft containers to our larger 40ft stores. Alternatively, you can always pick up equipment using your own transportation at no additional charge. We provide a very competitive rate on transport by utilising the main container transport companies in your area. For more information about our rates please contact us now. We can organise deliveries using 23 tonne metre 4 wheel crane mounted vehicle up to 72 tonne metre articulated vehicles. Please provide CHS with at least 48 hours notice. You should ensure that there is appropriate access for the delivery vehicle and equipment. Considerations would include the size of the entry to your intended destination as well as any other possible hazards. It is important that the site you intend the equipment to be delivered to is on level ground so that there are no problems in the doors being opened and closed comfortably. Please note, these vehicles have between 17 and 27 tonnes on the front axles, therefore soft ground is not an option.